There were mixed reactions from Stoke City fans following their 1-0 home win against the Swans on Tuesday night. 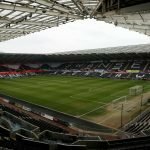 Some were positive about their team’s winning performance while others were more concerned that they needed an offside goal to beat “Swansea City reserves”. A lot of the quotes of their own performance were rather negative and to be honest, I agreed with most of them. Considering the players they have available with the likes of Woods and Allen in midfield, they should have done better but despite fielding a very weakened side, we actually looked the better team in the first 45 minutes. “We were slow and predictable and if we hadn’t been playing a side crippled by injuries then I fear the outcome would have been different. That last comment is an interesting one and I did wonder what we could have done if the likes of Fer, Celina and a fully fit McBurnie from the start were available. I felt that we gave a good account of ourselves given the fact that Potter made 7 changes and like he said after the game there were plenty of positives to come out from it – particularly how we were able to play with a number of fringe players involved. Some of their fans also praised our manager Graham Potter, particularly for his post-match reaction where he responded to the offside goal question simply with “that’s football”. The complete opposite to the likes of Mark Hughes who would have grumbled on and on about the poor call that decided the game.